Prior to this mission Lt. Janousek had a total of 16 hours in the UH-1E however; he had nine months of H-34 experience in Vietnam. Major Hll and Lance Corporal Dean attribute Lt. Janousek’s ability to keep his composure and not waiver ultimately lead to a successful landing. 1st Lt Janousek was in the worst position in the aircraft as the fire initially broke out under him. 1st Lt Janousek’s flight suit and seat were ablaze. On the rest of the way down 1st Lt Janousek never once panicked, which would have caused the aircraft to go into a spin and would have crashed, as he had complete access to all controls. 1st Lt Janousk was almost completely ablaze when we crashed into the river and still he had not waivered. 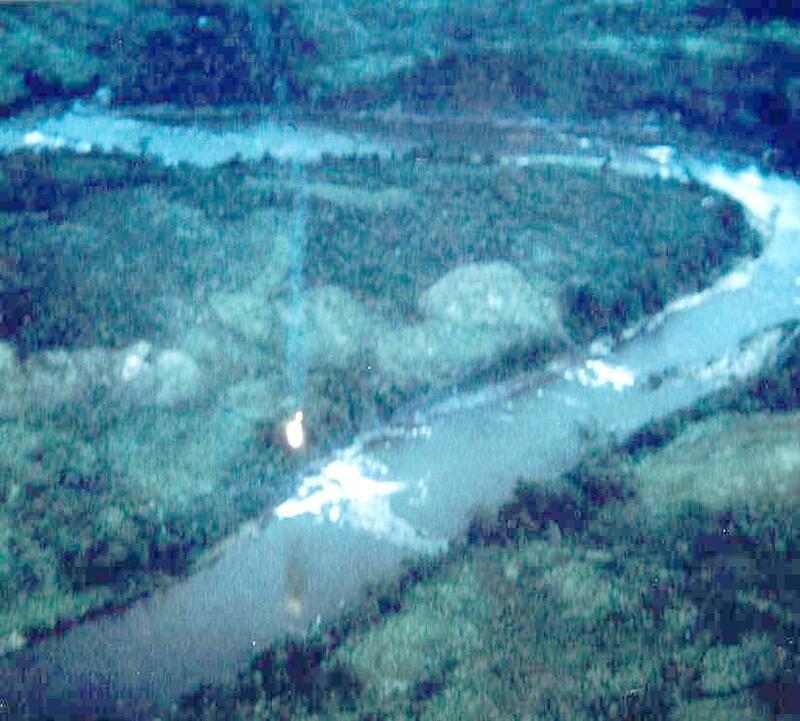 When the helicopter reached the river the pilot pulled the aircraft into a flare to set it into the water. The aircraft at this point was close to the shoreline. In a panic Corporal Kane jumped from the aircraft. During Kane’s leap the tail boom blew off the aircraft and the rotor head dislodged itself. The aircraft then landed in the middle of the river and began to sink. Both Hill and Dean described the river as deep with a strong current. Major Hill was able to stay at the surface once he was able to get rid of his helmet and body armor plate. Lance Corporal Dean was also able to get out of the aircraft when it wasn’t submerged too deep. At this point Corporal Kane was at the shoreline. The pilot and myself got out of the aircraft when it wasn’t submerged too deep and instantly realized that the river was very deep and had a savage current. Realizing the trouble Major Hill and I were having keeping our heads above the water, Cpl Kane re-entered the river from the safety of the shoreline. Before Cpl Kane reached us the med-evac Huey came in and hovered over the water at approximately five feet. The three of us then started heading for the Huey. While trying to reach the Huey I had been pulled under numerous times by the savage current. One time I surfaced and saw Cpl Kane pulled under by the current. I watched to see him surface again but he never came up. Kingsbee Lead’s Crew Chief hung out of the side of the CH-34 with his monkey straps and determined the pilot and gunner were still belted in and obviously dead. This was an outstanding demonstration of bravery on the part of Dai Uy Ahn as he was under heavy fire the entire time. Since there was no more that could be done for the two KIA’s and the ground fire was becoming quite heavy, we all departed the area to get the two survivors out and for us to refuel and rearm. As the UH-1E from Squadron 367 was going down Bill Guski with the use of Brokovichs Kodak Instamatic camera was able to get a photo of the crash. Major Hill struggled to keep his head above water due to the rotor blast and the survival equipment that was causing him to sink At one point he managed to reach up and pull himself aboard the aircraft using one of the skids. The Army UH-1H continued to search for survivors. When it became apparent that there was no one on the surface or in the deep water, Major Hill instructed the pilot to call in for another helicopter to continue the search. Hill felt that if the UH-1H was forced down that neither he or Dean would have enough strength left to fight on the ground. Major Billy H. Adams was as a wingman for Major Hill on that day. 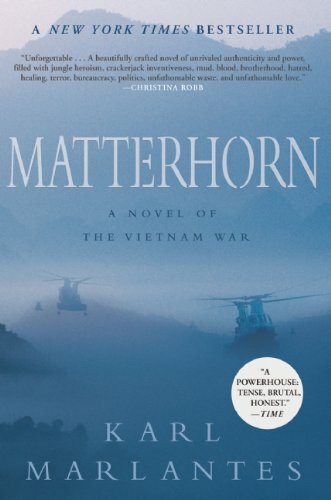 His crew’s assignment was to provide cover for transport helicopters extracting the reconnaissance team. After the crash he stated that his aircraft picked up Dean and Hill. The aircraft then searched the area downstream and adjacent to the wreckage to locate Kane and Janousek with no results. When Adams aircraft had to leave the air due to fuel depletion, another helicopter took up the search and checked each bank of the river, downstream where there were rapids and all around the vicinity of the wreckage. That helicopter was also not able to recover or see any survivors. The helicopter that relieved Major Billy had to evacuate the area due to sporadic ground fire and fuel depletion. Taking its place was a Air Force observation plane that continued the search for 30 minutes only to find no sightings of the missing personnel. After returning to base to refuel and rearm the mission aircraft were able to successfully extract the SOG platoon. Captain Frank Cuddy, led a flight of gunships to the crash site on the evening of the crash and again on the following morning. The efforts to search the site were met with enemy fire. The HML 367 unit did not conduct any further missions to search the site. On August 14, 1969 Bruce Kane’s mother received a Casualty Message informing her that her son has been reported Missing in Action. The message does provide a brief account of her son jumping out of the helicopter before crashing and making it ashore. Five days later Kane’s mother received a letter from Lieutenant Colonel Bobby R. Wilkinson indicating that Bruce is MIA and assured her that the search is ongoing. On July 7th just 32 days before going missing the Deer Park graduate from New York turned 20. A continuation of missing in action status was reaffirmed due to inconclusive proof of death concerning Kane and Janousek on August 25, 1969. On August 27, 1969 an investigation to determine the circumstances of the disappearance of First Lieutenant Ronald J. Janousek and Corporal Bruce E. Kane was submitted to Commanding Officer, Marine Light Helicopter Squadron 367 from Major Charles M. Lively. In the preliminary statement the investigator states that because of the enemy situation in the area around the crash site, an on-site investigation was not possible. In addition, due to the hostile enemy situation in the area no attempts were made to insert a search party. The area has been overflown by the Air Force several times a day with negative results. 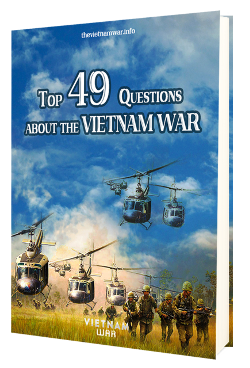 Gathering any information from flying over the area was a problem that the United States encountered in its early involvements in Laos. In 1959, CIA station chief Colby found gathering information on the area had been difficult. The Laotin wilderness was largely unmapped, with misty valleys so blanketed by jungle that flyovers and aerial photos disclosed nothing. In order to find out what was there would require putting men on the ground (Plaster pg. 19). 9. That Corporal Kane jumped from the aircraft just prior to its contact with the surface of the river. 10. That the river was deep enough at the point of landing to submerge the aircraft to the top of the rotor mast. 11. That the river had a swift current at the point of landing. 12. That the river water was murky green. 13. That squadron policy dictates the wearing of specific items of flight equipment, among which is body armor weighing approximately 20 pounds. 14. That Corporal Kane was observed on the river bank after the crash landing. 15. That Corporal Kane was observed to re-enter the water. 16. That Corporal Kane was last seen being pulled under by the river’s current. 17. That Corporal Kane’s Service Record Book states that he was unqualified as a swimmer. Research has produced accounts of Kane at the shoreline and reentering the water. Alan H. Barbour’s synopsis challenges item 17 about Kane’s ability to swim. In a synopsis submitted by Alan H. Barbour (historian) in the Task Force Omega File the author mentions that Kane was a lifeguard before joining the Marine Corp and was known to be an extremely strong swimmer with water life-saving skills. 4. That Corporal Kane reentered the river in an attempt to aid the other crew members and was drowned. 5. That neither the body of First Lieutenant Janousek or that of Corporal Kane is recoverable. 6. That, considering the circumstances surrounding the crash landing, the recovery of the two crewmen and the hostile nature of the area, the subsequent search efforts were adequate. As mentioned earlier Lance Corporal Dean stated that he saw Kane pulled under by the current. In a note from the Virtual Vietnam Wall it mentions that Hill exited the aircraft and made it ashore. Before making it ashore when Hill made it to the surface when they crashed he saw Corporal Kane re-enter the water to assist remaining crew members. An attempt was made to contact the person that maintains the virtual memorial to shed some light on the information however; I did not receive a response. Maj Hill exited the aircraft and made it ashore. At that time he saw three people in the water, but they could have been Army personnel from the Helicopter that followed the downed Aircraft. Cpl Kane jumped from the aircraft just prior to impacting the water and somehow made it ashore. However, as the pilot came to the surface the first time, he saw Cpl Kane re-enter the water to assist the remaining crew members. There have been sources that claim that Corporal Kane jumped from the aircraft and was last seen either at the shore or entering the river to make a rescue attempt. These statements have been based on Lance Corporal Dean’s statement. Dean was evacuated from the Republic of Vietnam due to injuries he received in the crash and according to Lively’s report was not present at the time of the investigation. The statement that Dean made was made prior to his departure. As the investigation progressed there were several questions that arose which he could have answered. The investigator felt that the questions were not considered vital to delay the report. Please read part III here. John has been a Social Studies Teacher in the Deer Park School District, NY for over 16 years. He received the Bright Light Award from Suffolk County Asset in 2015 for use of technology in the classroom. John served 8 years as a Hospital Corpsman with the Marine Corp and deployed with a Combat Engineer Battalion to Iraq in 2001-07. He is currently in the Air National Guard as an Aviation Resource Manager.